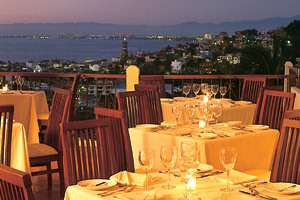 Puerto Vallarta is famous for its culinary fare, with plenty of restaurants, renowned chefs, and spectacular settings. 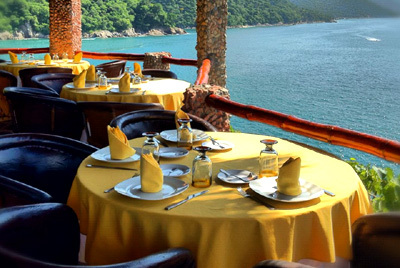 Don't miss out on these fantastic restaurants during your next beach vacation to Puerto Vallarta. Cafe des Artists is one of the most well-rooted gourmet traditions in Puerto Vallarta. It offers classic cuisine with a Mexican touch, along with a wine cellar that boasts over 400 different wines. With a wide variety of Mexican and international awards, Cafe des Artistes is one of the best restaurants in Puerto Vallarta and in all of Mexico. 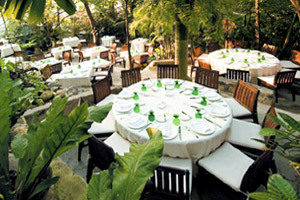 El Andariego Restaurant has been a popular place in Puerto Vallarta since 1989. It features an authentic Mexican atmosphere with wall murals, trova music, and great service. 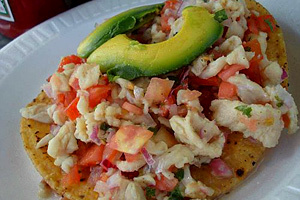 On the menu you'll find typical Mexican specialties, seafood, fresh fish, and salads, along with delicious lobster dishes. The breakfast here is a hidden gem: well-presented, affordable, and varied. Come and enjoy an authentic local experience in downtown Puerto Vallarta! 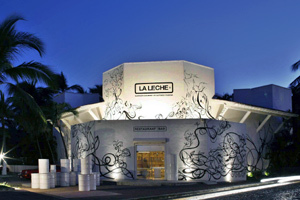 La Leche restaurant offers an extraordinary culinary experience in Puerto Vallarta. It has unique interior decor with monochromatic features and large shelves full of milk bottles and cans. At this artistic restaurant the menu is a masterpiece, featuring spontaneous, dynamic, gourmet cuisine. The chef picks the ingredients everyday according to what he wants to cook, ensuring the dishes are fresh and unique. This is signature cuisine as an art form, at one of the best and most creative restaurants in Mexico. Le Kliff offers first-class service under one of the largest thatched roof palapas in the world. Located on the edge of a cliff, it features impressive views of the ocean and the mountains. The restaurant has a refined menu boasting tasty international cuisine, along with a romantic atmosphere that makes it an ideal place to watch the sun go down. Le Kliff is an excellent vantage point for whale watching depending on the season, something that makes for a truly unforgettable experience if you happen to see one. The Vista Grill restaurant in Puerto Vallarta offers a refined dining experience on a lovely terrace with wonderful views of the city and the bay. The restaurant's elaborate menu includes salads, steaks, poultry, seafood, fish, and pasta dishes. The desserts are fantastic, and the prices are very reasonable, considering the high quality of the food. The wine list here includes some of the best wines in the world. 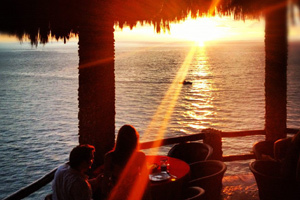 This is one restaurant not to be missed out on during your next romantic vacation in Puerto Vallarta!